Thank you for your patience, this has taken a lot longer than we hoped for, and we are sorry for this. We are also sorry for the lack of updates, but wanted to wait until we were absolutely sure the perks were going out soon before we contacted you again so we wouldn’t make any false promises. Now we have ordered things and they will soon be sent to the shipping agency (the first have already arrived) which will package things and send them out to you. If you have moved since the survey we sent last year, please send an email to fundraiser@wildfiregames.com as soon as possible so we can make sure the perks reach you. Please reply as soon as possible, after everything has reached the shipping agency we want to have it sent out as soon as possible. After the first of November we will send things out, if you for some reason don’t see this until after that date and have moved the package might have trouble reaching you. Unfortunately there isn’t much we can do about it, apart from trying to make sure everyone notices this. If you know someone who has contributed, but who might have missed this, please let them know. If your perk level includes Ancient Warfare Magazine subscriptions you should have gotten an email from feneur@gmail.com. If you never got it, please contact us as soon as possible so we can get those taken care of as well. If I haven’t moved, will I have to do anything? No, but you might get your perks sooner if you do: things are sent out either when we get an email or when the time limit has been met. What has happened with the money donated? Some of it went to covering the fees from Indiegogo and SPI (SPI manages our money). Some of it covers the perks, and some of it will be spent directly on the development on the game. What happened to Michael and Jorma? Michael sadly left the team last summer since the fundraiser did not raise enough money to employ him full-time and since he no longer had time to work on the game in his free time. Jorma was unable to work for us when we did not raise enough money to employ him full-time. So, how will you use the money now? As it is not as much money as we hoped it will be harder to find someone who is able to set aside time to work on the game, especially since the person should already be familiar with the game code to make the most of the time. We will definitely not spend the money on something else though, and will keep you posted as soon as something has been decided. The Alpha 15 Osiris multiplayer lobby is now discontinued. Users of Alpha 15 are advised to upgrade to the latest version. The only distribution bundling Alpha 15 is Ubuntu 14.04 LTS, for which Alpha 16 is available in backports, and the latest version is available in our PPA. Alpha 15 was released December 2013 with the subsequent Alpha 16 being out for a year now. The Alpha 15 lobby isn’t used very often anymore; the bot told users to upgrade to a newer version and we haven’t seen more than one player at once for more than a month. The Alpha 15 lobby bot also has an occasional issue causing it to terminate. Due to the inactivity, obsolescence, and amount of extra work required to sustain it, we have decided to discontinue the Alpha 15 Multiplayer lobby. By giving up support for our archaic Alpha 15 bot we are able to streamline some things on the lobby server as we do not need any special cases for the Alpha 15 bot anymore. Multiplayer via the Host/Join dialog is still possible for those who do not wish to upgrade. Wildfire Games, an international group of volunteer game developers, proudly announces the release of “0 A.D. Alpha 18 Rhododactylos”, the eighteenth alpha version of 0 A.D., a free, open-source game of ancient warfare. This alpha features improved performance, an in-game technology tree, a new map type (“Nomad”) and more! Wildfire Games, an international group of volunteer game developers, proudly announces the release of “0 A.D. Alpha 17 Quercus”, the seventeenth alpha version of 0 A.D., a free, open-source game of ancient warfare. This alpha features a major gameplay rebalance, units on walls, trigger support, improved mod support and more! The OS X bundle has finally been released. The bundle should work on Mountain Lion (10.8) or later. Users of an earlier version of OS X are advised to upgrade. Note that there is no 32-bit bundle anymore. Wildfire Games, the international group of volunteers developing 0 A.D., is happy to present this week’s 0 A.D. development report. If you want to find out more about the development of this open-source, cross-platform real-time strategy game or if you are interested in game development in general, it might provide an interesting read. 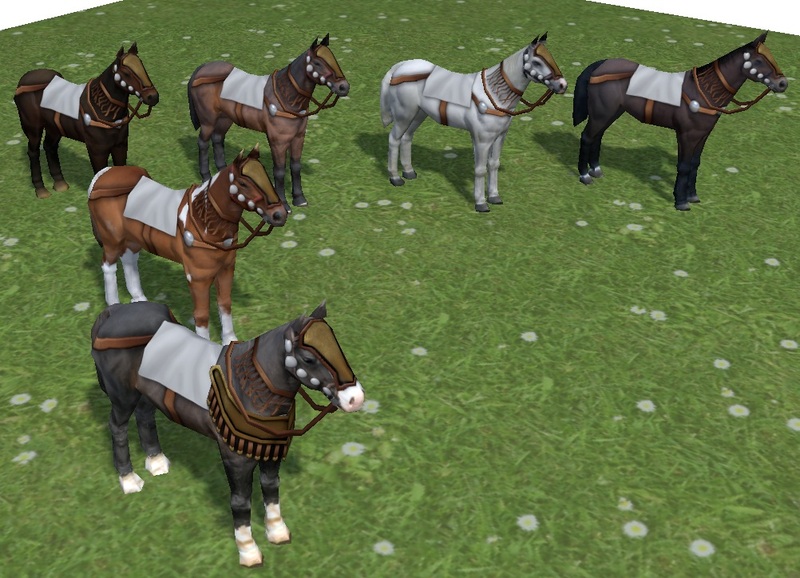 Enrique’s new horses (WIP). Animated transparent manes and moving armor are also in the pipeline (thanks to Wraitii). Hey fans! Looks like we hit $33,251 in donations! We’d like to extend our gratitude to everyone who donated and who worked hard to spread the word about our game and this fundraising campaign.